You might find that there are several reasons that you want to delete a contact and cut ties through the WhatsApp application. Perhaps you have encountered an unknown contact, someone that appears to be sending you spam messages, or worse a friend that you have to isolate yourself from. While it might seem like a simple concept, many people are not aware of how to get rid of a contact forever. This means that they can no longer see your online access, your profile information or contact us in any way through the app. We want them gone. 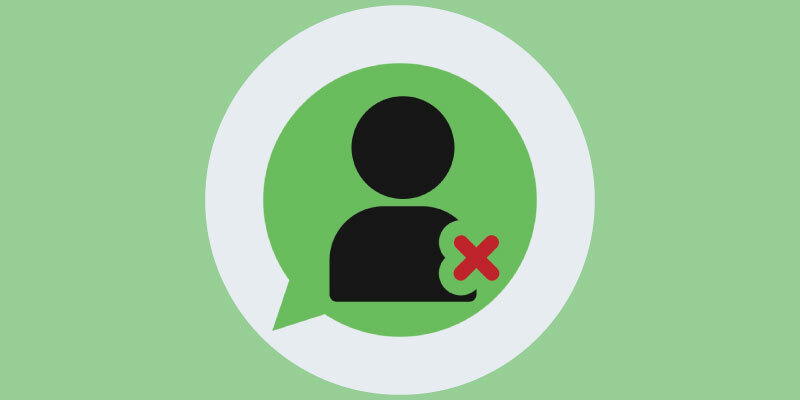 Many people are under the impression that deleting a WhatsApp contact is the same as getting rid of their number from the phone book, but this is not the case. This will not solve the problems that you might be having as this individual can still see your online activity. They can still send you messages, see your status and access your profile information. By doing this, you are cutting them off from being able to send you messages, see your online status, or any information (including your picture) from your profile. Be aware that this process might vary slightly from device to device, but that the premise and steps are usually very similar. Hopefully this was helpful in ridding you of an unwanted contact, but if you have further questions or concerns, use the comment box below to reach out with your inquiry. Ok so here goes some personal drama, my husband cheated a few years ago, but is no longer cheating or looking for the lady. She however is still looking for him. I have her number blocked in the auto reject list, I have her blocked through the mobile family allowances, and she still was able to connect with my husband through what’s app. I did not want to put her name back in my husbands phone so I put her number under a different contact name that he never uses and then blocked the contact on what’s app. My question is if I now delete that contact from the phone will she still stay blocked on whats app? ? Please help me. Hi Tommie, unfortunately, to block a WhatsApp contact the phone number must be saved on the phone. If you delete it, she will be able to connect with your husband again. Please help hiding/removing the blocked list permanently I no longer wish to see them even in the blocked list. Thank you very much for writing this detailed article, which is very helpful to new people like me. My query was about permanent deletion of blocked contacts from my android phone. I use Micromax Canvas Nitro A311 and I tried according to the process explained above. However I could not find the Menu>View in my phone. Instead I found ‘More’ > ‘Clear chat’ options. By clicking on this option (Clear chat), the blocked contacts disappeared from my list. You may use this information to help others who may be using a similar phone version. 🙂 thank you very much for the useful information. Unfortunately, Android menu changes in different devices. I’m sure that your comment will be helpful for other users with the same phone.